16 years after the first veto, the City Council AGAIN rejects Napa Oaks. We are grateful to Jill Techel, Peter Mott and Scott Sedgley for seeing fit that Davidon Home's project was not the kind of housing we need, nor is it the appropriate place to build these houses. A grateful community salutes you. Read more in the Napa Valley Register here. Watch the Facebook Videos from the Napa City Council vote. 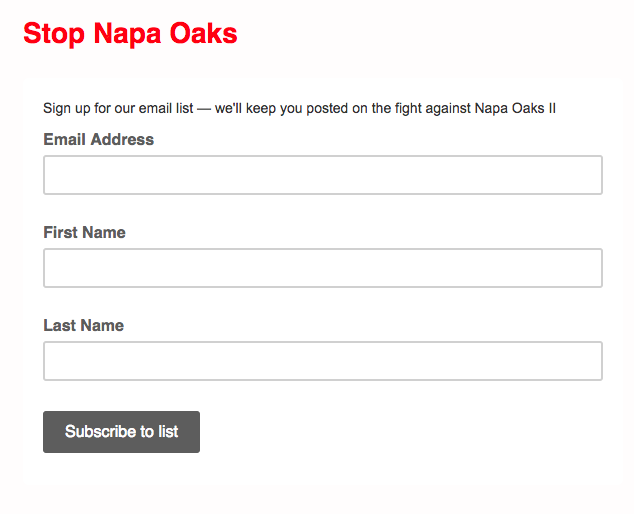 What is Stop Napa Oaks? 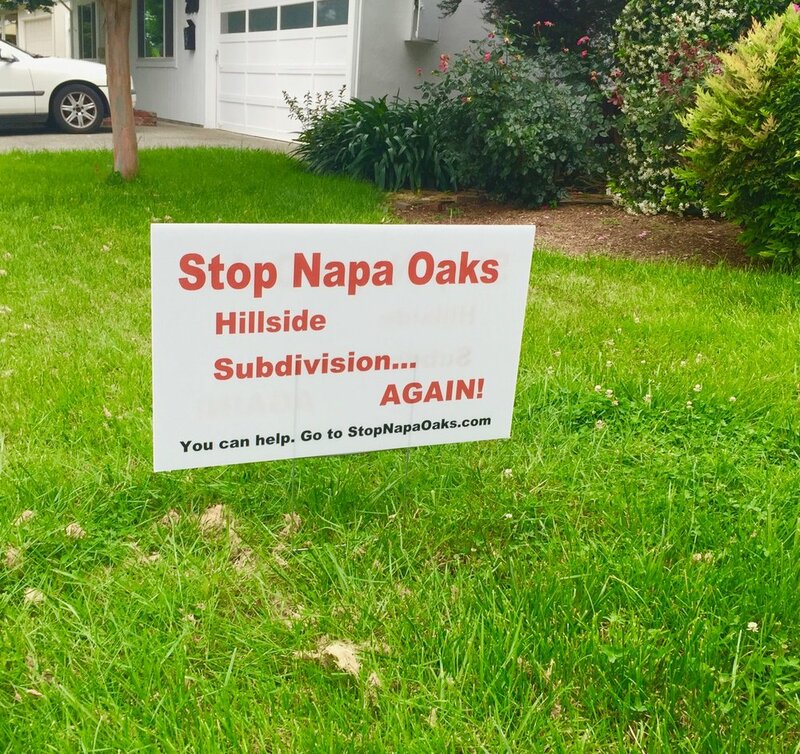 Stop Napa Oaks is a volunteer, grassroots community organization formed in 2016 to stop the high density development proposed by Davidon Homes of Walnut Creek. Known as Napa Oaks II, this proposed development is located in the Southwest Hills of Napa. Davidon Homes does not have the property rights to develop this hillside for high density housing. They have tried and failed before. This is their latest iteration. 1. Changes to the General Plan Must Have a Significant Benefit to the Community: Changing Napa's General Plan to accommodate an outside developer is a serious decision with huge ramifications for our community. Does Napa Oaks create the type of housing Napa needs? No. Will Napa Oaks have minimal impact on the environment? No. Does Napa Oaks add to the quality of life for the people who live here? No. Will Napa Oaks enhance the scenery of our world-class valley? No. The risks of building on this hillside far outweigh any benefit. On December 21, 2017, The Napa Planning Commission agreed. 2. This Hillside is Not Zoned for 51 Homes: Davidon Homes has zoning rights to build only 4 homes on the hillside. They are asking the City Council to change the zoning in the General Plan for that hillside in order to accommodate the high density neighborhood of 51-70 homes. The Application they are making to the City Council includes 4 separate parcels, some located on the street below. In all, their zoning rights conform to 11 homes. 3. Davidon Homes Never Had the Zoning Rights: Davidon Homes has fostered a false narrative that when they purchased the property they had the zoning rights to build a high density neighborhood. They never did. The zoning in the General Plan was changed to RA in 1998, they purchased the hillside in 2000. 4. Enough is Enough: Davidon Homes has twice sued the City of Napa in the past for not changing the zoning to Single Family Residential. They lost both times. When will they take NO for an answer? 5. Shelter in Place is Unsafe: Our region has faced unprecedented recent fire storms. Due to the steep grade of the single road that would lead into the neighborhood, fire trucks will be unable to enter, leaving homeowners to fend for themselves in the event of a future wildfire or other emergency. This is a dangerous plan. 6. Newly Discovered Earthquake Fault Lines: New maps released by the California Geological Survey identify the Alquist Priolo Fault Zone running through Napa Oaks II. Davidon did complete trenching and USGS evaluation. Three streets in the development cross the fault line and only a few homes will have strengthened foundations. What about the risks to all the other homes within this A-P Zone? 7. Dangerous Roundabout: Davidon Homes is proposing a roundabout at the bottom of Old Sonoma Road as the main entrance into the development. Motorists will need to slow to 15mph in order to navigate the roundabout, all while coming down this steep hill. The Federal Transportation Administration recommends a 4% grade maximum for roundabouts. Old Sonoma Road exceeds 4% grade. This roundabout is a risk for accidents and fatalities. 8. Cutting Down Mature Oak Trees: A total of 509 Mature Oak Trees will be cut down and removed to make way for this high density development. These valuable trees contribute to our internationally recognized scenery, slow storm runoff, clean our air, store carbon, provide wildlife habitat, and serve as a buffer between agricultural & urban zones. We can't afford to lose them. 9. Open Water Retention Basin in an Existing Neighborhood: In order to capture and slow the surface water coming off the steep hillside, Napa Oaks plans include an open water basin. If this basin were to breach in an earthquake, or a severe rain storm, an entire neighborhood could be at risk of flooding. These parcels, referenced in #2 are zoned SFR and could accommodate a total of 7 homes. Instead, they will remove trees and two rental homes and put our neighborhood at risk. 10. Tract Homes on Napa Hillsides is Not in Keeping With Our Unique Location: Open space, second only to wine tasting, is why people come to visit Napa. Natural beauty and open space are at the heart of what makes Napa special. It is this "sense of place" that helps create our world class location. At their December 21st meeting, Napa Planning Commissioners voted against a zoning change for Napa Oaks II. Listen to some of the reasons why they voted against it. Read the Green Belt Alliance report here on the importance of preserving Napa Oaks. According to the 2016 Visit Napa Valley Visitor Survey (Pg. 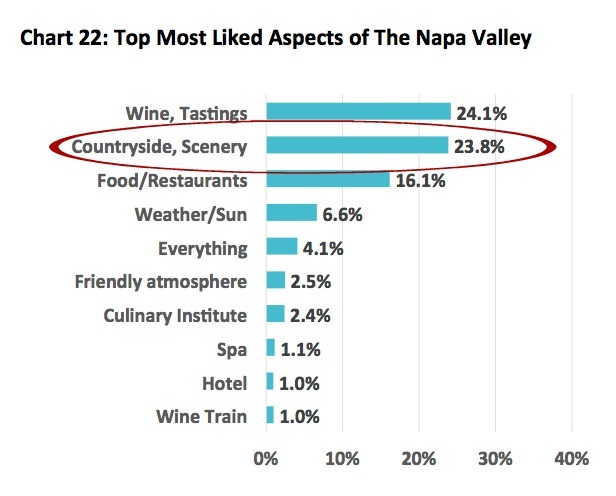 41) almost 1/4 or 23.8% of those surveyed said that "Countryside / Scenery" were the most liked aspects of the Napa Valley, second only to Wine & Tastings! 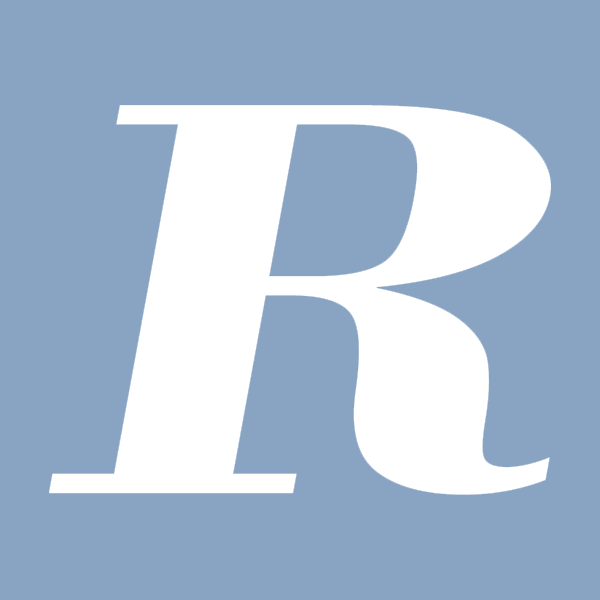 You'll find some of the past pieces from the Napa Valley Register and other pieces by clicking above. In 1998, those who worked on the General Plan gave this hillside, which resides in the City's RUL or Rural Urban Limit, a special zoning designation, known as RA - Resource Area. This designation requires special standards due to view shed, resource, habitat, geotechnical and other considerations that further the conservation and resource protection goals of the the General Plan. RA zoning allows for 1 house per 20 acres. 2000 Davidon Homes bought the 78 acre hillside, known as Napa Oaks. The zoning allows for 4 homes on this hillside. 2002 Davidon Homes presented its 65 home development plan to the Napa City Council. The City rejected Davidon Homes' request that zoning be changed from RA to Single Family Residential, due to the sensitive nature of the hillside. 2005 Davidon Homes sued the City of Napa for failing to change the zoning. Davidon lost in the lawsuit. 2007 Davidon Homes filed an appeal. 2008 Davidon Homes lost the appeal. 2016 Davidon Homes compiled a Draft EIR for a development of 53 Homes. 2017 the Final EIR consisting of 51-70 homes, was presented to the Napa Planning Commission. The Commission rejected the request to recommend to the City Council an amendment to the General Plan to change the zoning from RA to SFR. 2018 February Davidon Homes postpones their submission to the Napa City Council for a vote while they conduct trenching work on the property on foot of recently released USGS maps showing active earthquake fault lines running through the Napa Oaks site. 2018 June 19 - Napa City Council votes 3-2 against amending the City of Napa General Plan to allow the Davidon Homes Napa Oaks development.